At VG's Grocery, we work hard to give you the quality, value, and selection you both want and deserve. That's why we're proud to offer Our Family brand products. With nearly 2,000 products located throughout the store, Our Family offers the widest variety of budget-friendly, national brand quality items — each backed by an unmatched Satisfaction Plus Guarantee so you can buy with confidence. 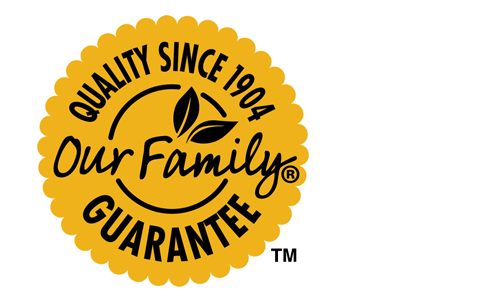 That unique commitment to community, quality, and value has made Our Family a trusted name since 1904. It's in everything they do, and it's in everything we do, too. Yesterday, today, and everyday, Our Family and VG's Grocery are here for your family.